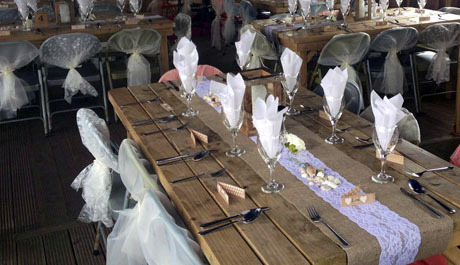 The River Exe Cafe offers a unique wedding reception or private hire venue. Moored on the beautiful Exe Estuary in East Devon, the Cafe offers bespoke banquet or buffet menus to suit your requirements. The Cafe has covered dining for you and your guests to enjoy our award winning locally-sourced food, no matter what the weather. Chris, our Head Chef, will help build your m enu to ensure you get the highest quality for you and your guests. The journey begins with you and your guests being met at Exmouth Marina and taken to the Cafe by Water Taxi. The twenty-minute journey takes in the breath-taking scenery along the Exe Estuary. On arrival, you will be met by our friendly staff with your chosen drinks and canapes. When you have finished your meal, you can watch the sun set over the river while sipping champagne with your guests and then dance the night away on the river to a band or DJ. You and your guests will be ferried off the Cafe by Water Taxi at the end of the evening by 11.30PM. Our capacity for a sit down 3-Course Banquet is 70. For a Buffet we can accommodate 85 guests. We offer Full Day or Evening Hire. Our private hire organiser will tailor a bespoke package to suit your needs. Prices are based on a minimum spend of food, drinks, venue hire and use of the Water Taxis. Decoration and music are not included in this price. 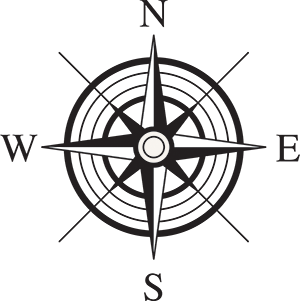 Our Event Organiser will help with all your planning needs and every aspect of your day with us.